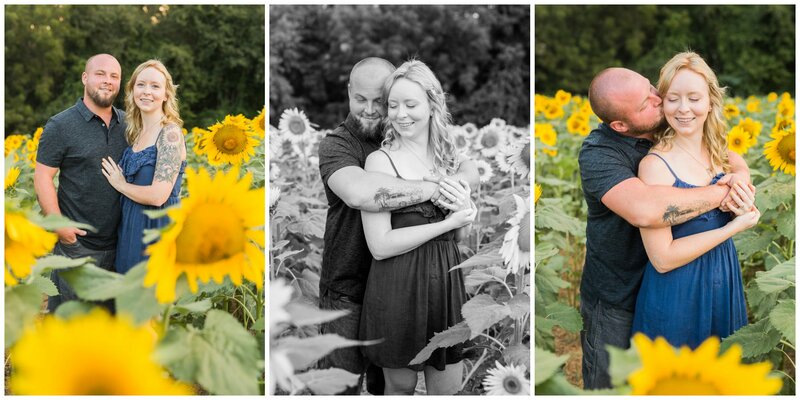 To say I am excited to be photographing Kristen and Gary is an understatement! Though I have photographed them several times before, this time it is because they’re ENGAGED! (: I could not be happier for them! 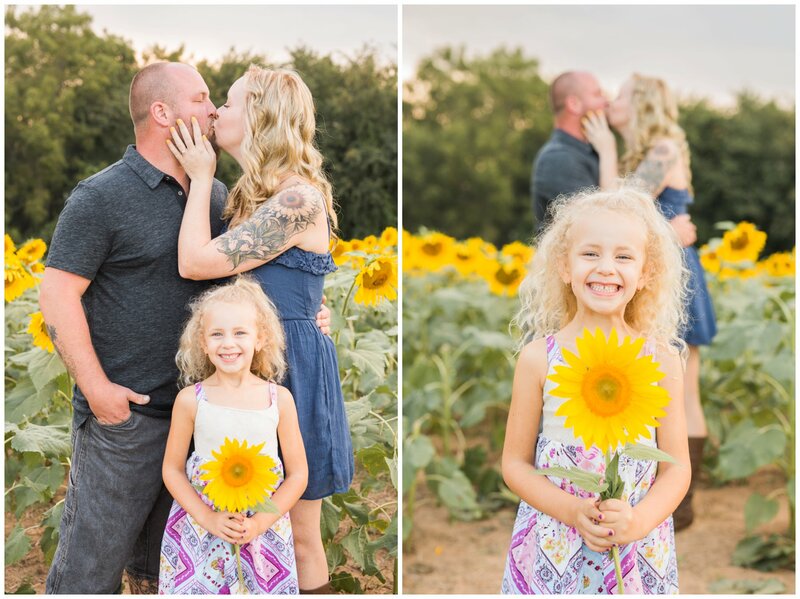 As they are busy planning their fall wedding in Colorado for October of next year we were able to fit in a sunflower field engagement session here at home that will compliment their wedding theme! Their daughter, Olivia and dog, Deuce joined us to play in this gorgeous field. Okay but seriously how adorable is Olivia and her gorgeous smile?! Kristen and Gary were so natural at falling into the most adorable poses. You can truly see how much love they have for each other! Even Deuce was a great model! And how pretty is Kristen’s ring!! This bee decided to come join us for some ring shots, the timing couldn’t have been any more perfect! Congrats on your engagement! I can’t wait to photograph your wedding this time next year! Colorado here we come! OMG this session is perfect! Love the setting and the colors and just everything! They look so happy and their daughter is SO cute! 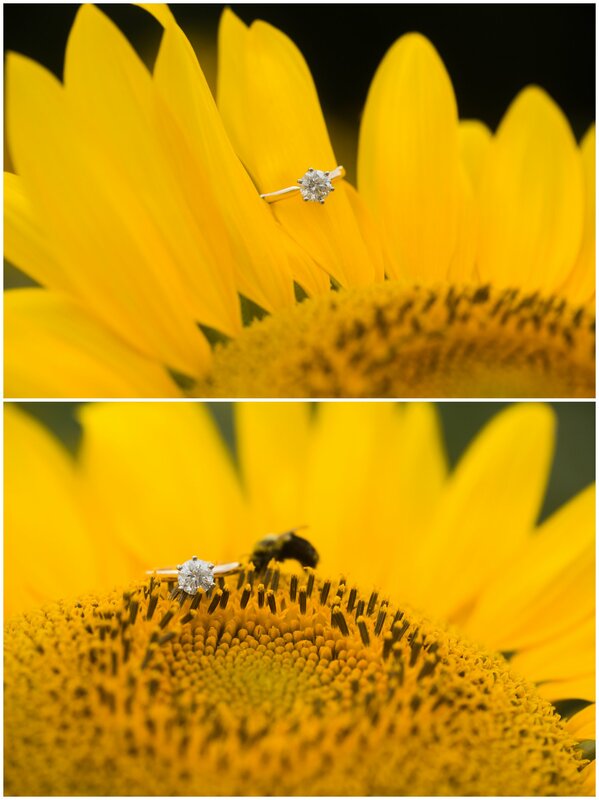 Oh my gosh that ring shot on the sunflower with the bee is gorgeous!! 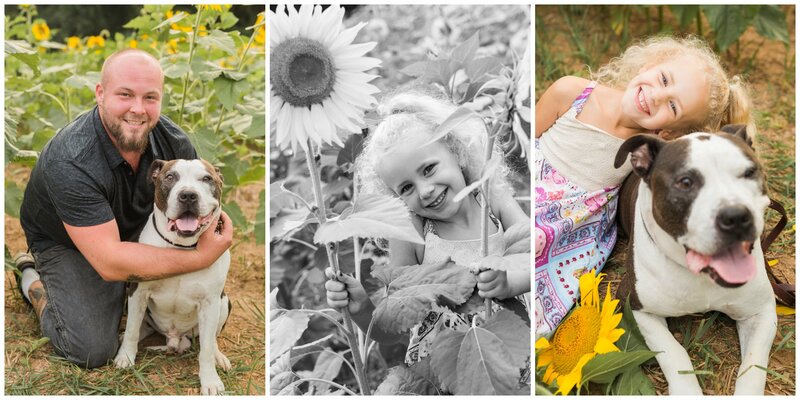 I’ve always wanted to do a session in the sunflower fields!